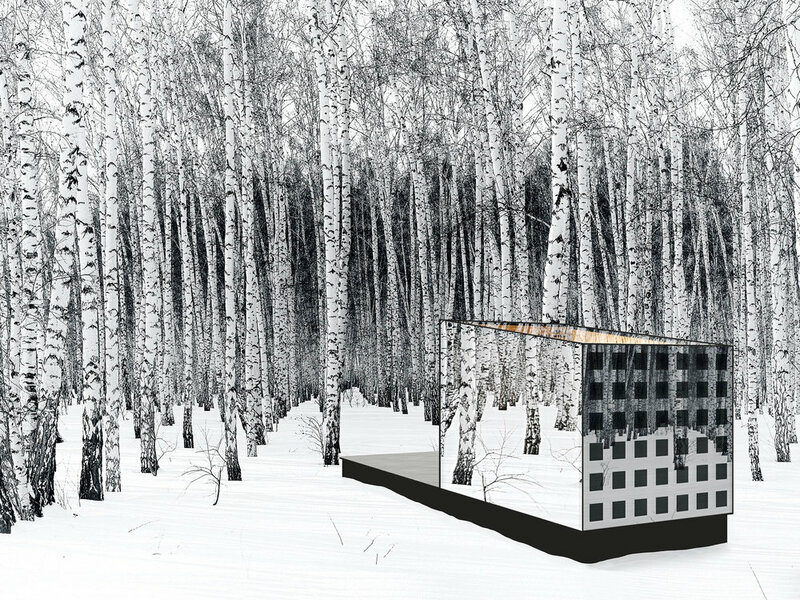 Clad in reflective glass, the Disappear Retreat integrates itself into any landscape. 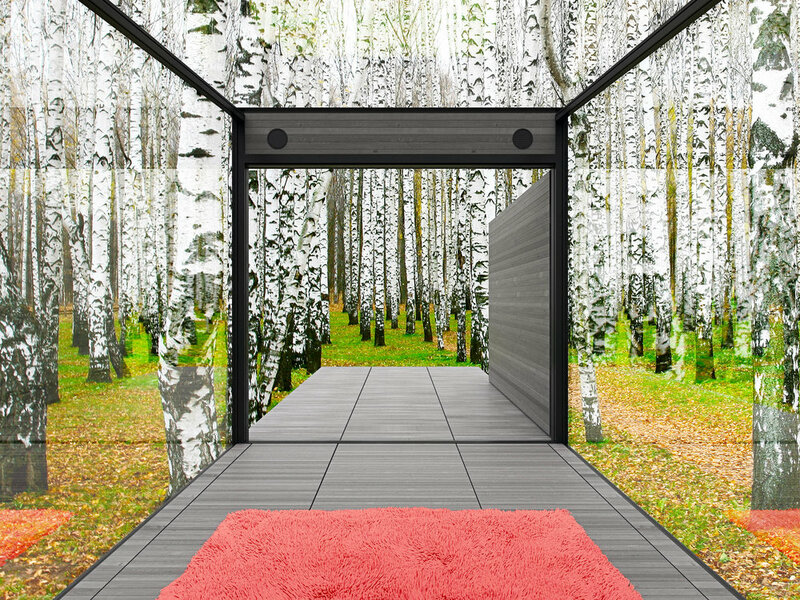 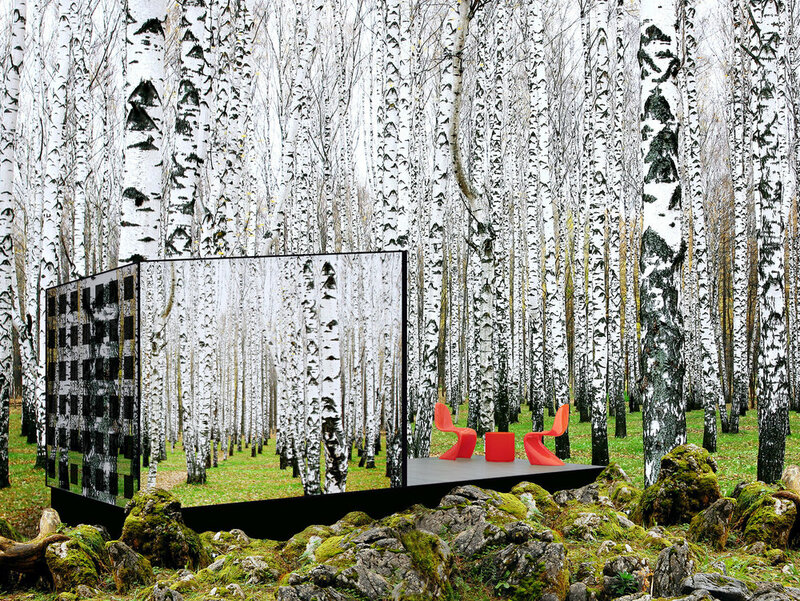 The prefab dwelling puts you right in the middle of nature without disrupting it. 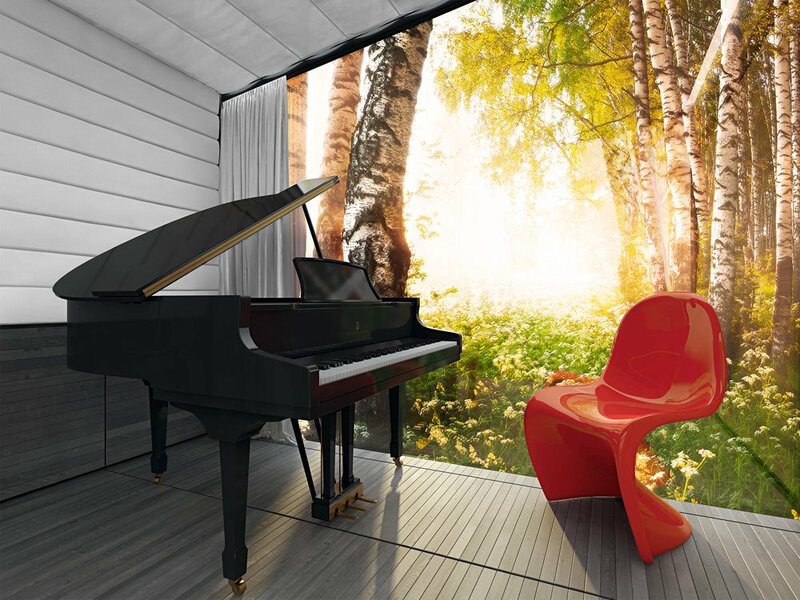 At just 83 square-feet, the dwell prefab is lightweight and can be transported on a standard trailer. 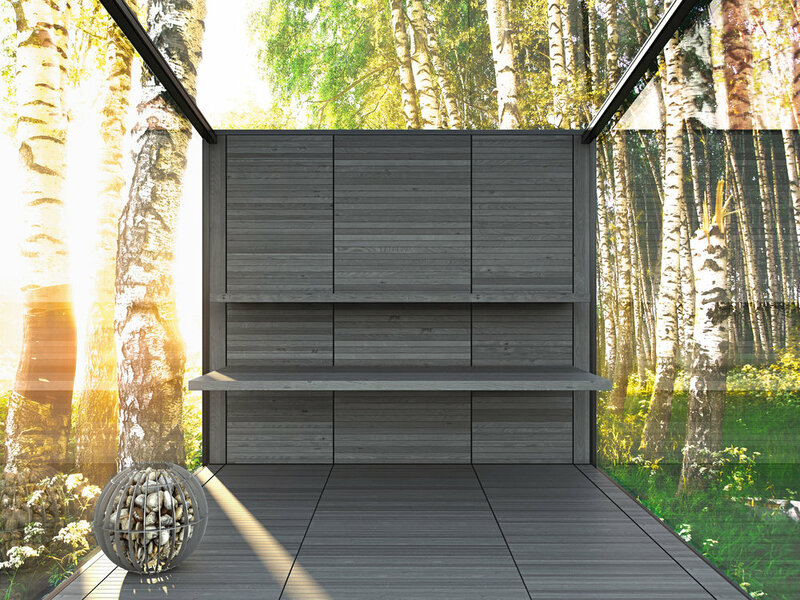 Its compact size has minimal impact on the land and requires no active heating or cooling systems. 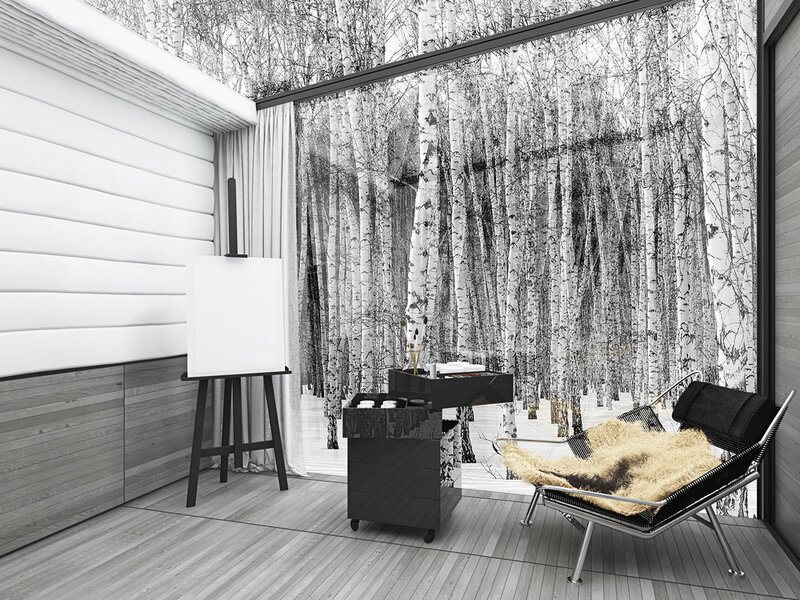 All of the energy is collected from the sun with a thin-film PV in the south wall. 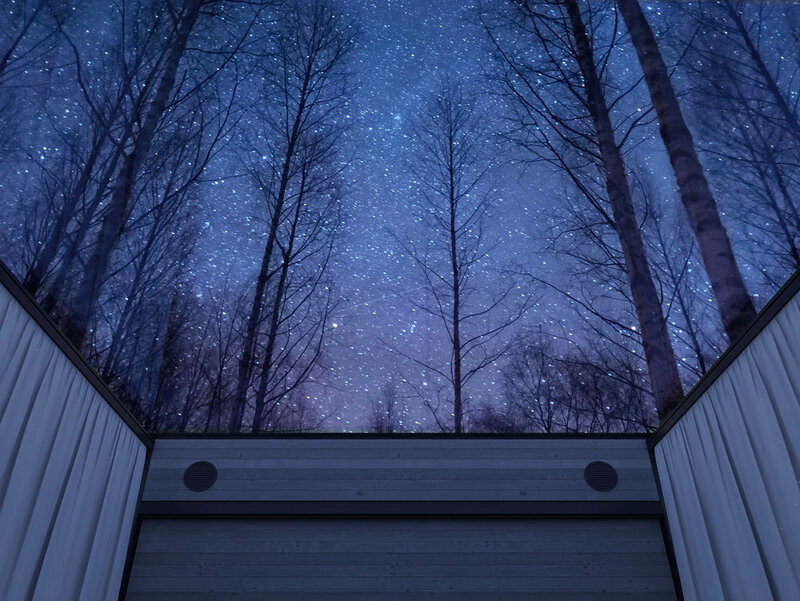 A mirrored facade blends the exterior into its surroundings, while the inside is afforded prime views of the night’s sky through the glass ceiling. 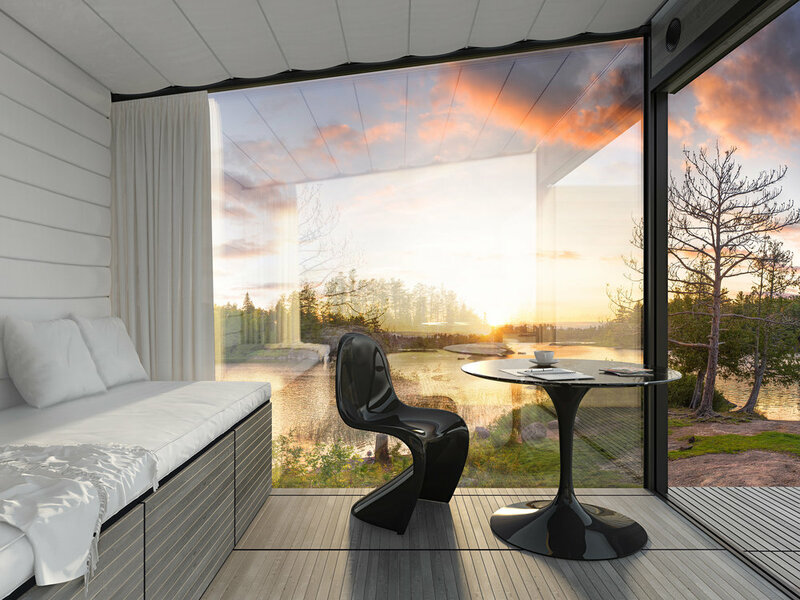 And don’t forget to check another great example of mirror house – luxury hotel in Northern Sweden.